Busted water pipes can be a real problem. Dishes pile up, everyone goes without a shower, and the clean clothes run out quickly. Leaky faucets can also be a big problem, as water bills can run up very quickly. However, with King Group, CES, you can get it fixed right, right away. King Group, CES has a full service plumbing division ready to tackle any issue you might have. Whether you need after hours emergency service or a full water system install for a new building, they have it covered. Whether it’s a leaky faucet or a complete remodel, King Group, CES can get the job done. No job is too big or too small. 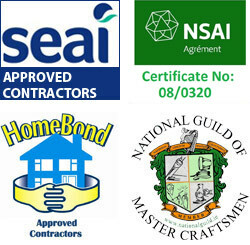 King Group, CES has been providing excellent plumbing services in Ireland for over three generations. With thousands of satisfied customers, you can be sure that your job will be competed correctly and on time. King Group, CES hires professionally trained and highly qualified specialists so you know you will get the best service possible. Each technician is committed to providing you with the best customer care possible. They verify this commitment with customer satisfaction surveys that are regularly conducted. If you have any questions, concerns, or just want to brag about the service you received, King Group, CES would like to know. Each project King Group, CES undertakes begins right here in the home office. They use a time tested system to ensure each service or installation vehicle sent out is fully loaded with any part or tool that might be needed. This cuts down the time it will take to complete your project, and ensures you get the best value for your money. King Group, CES is the company you can count on when your plumbing system needs work. For further information on Plumbing Services call King Group CES on 045 838376 or click here to complete our free online enquiry form.